You do the work...we supply the equipment and expertise! How it works: A Certified Mold Remediation expert will come out to visually assess your property and write a thorough protocol for your specific scenario. We will outline the scope of work and necessary equipment and delivery all needed materials to the home or building. Mold remediation is not a "one size fits all" deal – that is why it is important to have a professional assess your project to make sure that nothing is being missed. With Mold Detection’s DIY Mold Remediation option, the first step is to have one of our mold remediation experts make a site visit in order to write a thorough protocol for your specific project. This protocol will include setting up containment and running the necessary amount of HEPA air scrubbers to insure no cross-contamination with the unaffected areas inside the home or building. 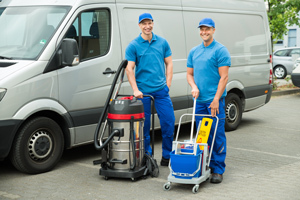 The scope of work may also include demolition of affected materials that cannot be properly cleaned, as well as HEPA vacuuming contaminated surfaces and performing a cleaning with the antimicrobial. Once the protocol has been established and the quote accepted, Mold Detection will deliver all necessary equipment, PPE and products to the office or building for you to complete the scope of work. Contact us to learn more about our DIY Mold Remediation options or to set up a site visit. Don't need the full scope of work? Consider our Equipment Rental options.